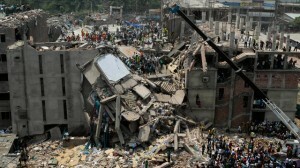 On April 24, 2013, the worst industrial disaster in the history of Bangladesh has been recorded. Rana Plaza, an eighth-story garment factory building near the capital city of Dhaka, has collapsed and left more than 800 people killed and about 2,500 injured. According to rescue officials, around 2,500 survived the tragedy but there are more factory workers believed to be buried in the debris of the building. Two weeks after, a fire in another garment factory in Dhaka has caused the death of eight people. Following these tragic events, the authorities have started inspecting garment factories to ensure that regulations and standards are strictly followed. A total of 18 garment plants have been closed due to safety reasons. The garment industry in Bangladesh is considered as one of the biggest in the world. The country earns about $20 billion every year from exporting garments to America and Europe. The country is located in South Asia and the boundaries include India, Burma, Nepal and Bhutan. 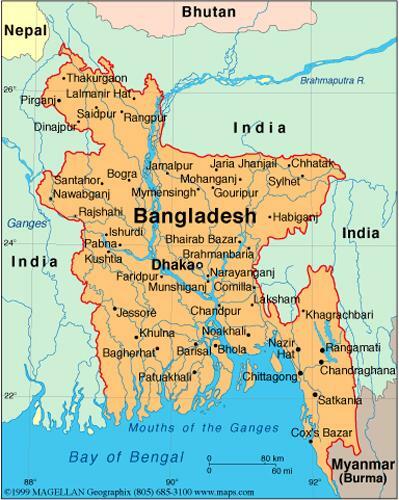 Although Bangladesh is small in area (144,000 square kilometres), it is the eighth most populous country in the world, ahead of Russia and Japan. In the Muslim world, this country is the third most populous nation. The country was hit by the most severe flooding in September 1998 with two-thirds of the area covered with water. The death toll was 1,000 with 30 million people left homeless. It is rich in historical places with five of them listed in the World Heritage Sites. One of these sites is the world’s largest Mangrove forest named Sundarban where you can find the famous Royal Bengal Tiger. It has the 13th largest shopping mall in the world and considered the largest in South Asia. The 19-storey Bashundara City Shopping Mall has around 2,325 shops, theme parks, cinemas, sports and recreational facilities, international food court and business offices.